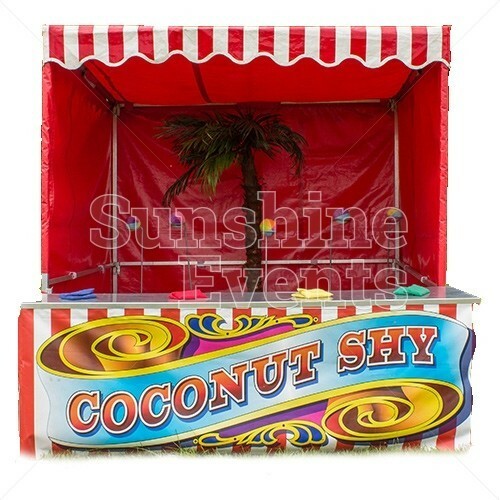 If you asked someone what their expectation of a funfair stall would be, they’d probably have the classic Coconut Shy at the top of their list. It’s a staple of funfairs the whole world over since it was first unveiled to the world in the carnivals of the late 1800s. 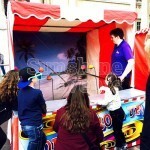 It’s longevity is no doubt down to the addictive nature of the game! 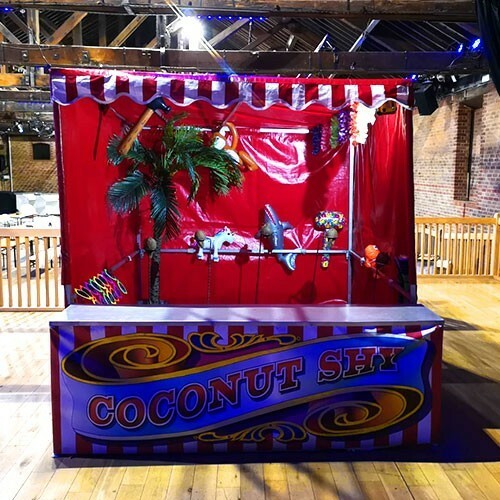 The idea is simple: you’ll get three bean bags - that’s three chances to knock a coconut from it’s stand and win the fallen nut as a prize. 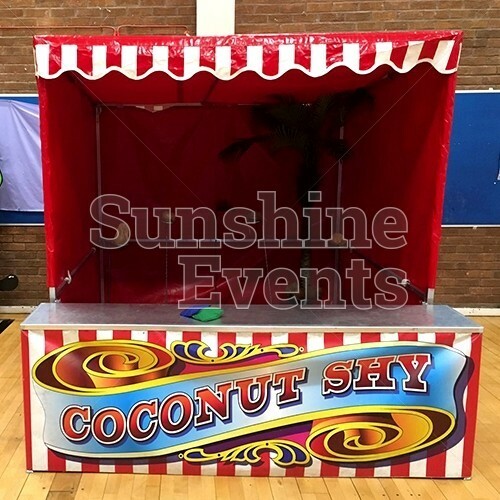 Or if you don’t want coconuts falling onto the floor, we can replace these with coloured balls and use beanbags to dislodge them instead. 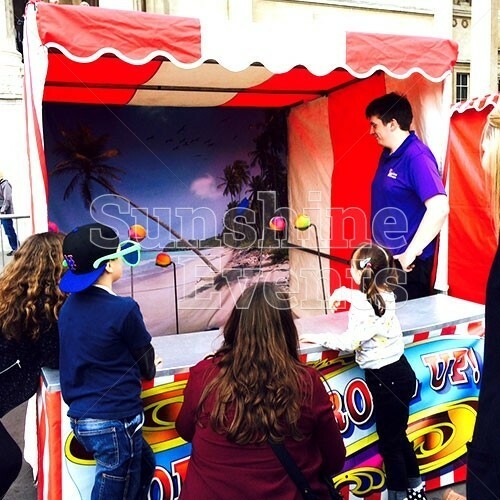 With a choice of 5 targets at varying heights to add to the challenge, spectators will be transfixed as they watch their friends and family try to rise to the occasion and win that coveted prize! 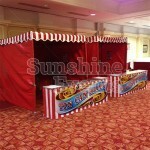 The Side Stalls are a fantastic feature at all kinds of event. The red and white striped fabric enclosure is a real showstopper - especially when all lined up against each other. 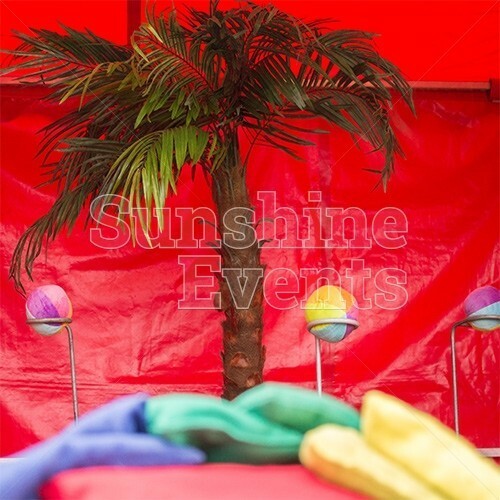 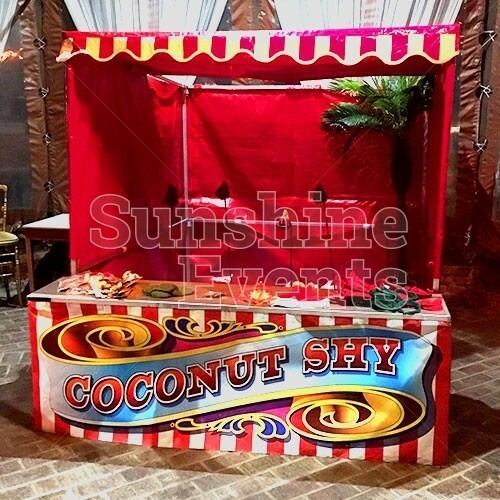 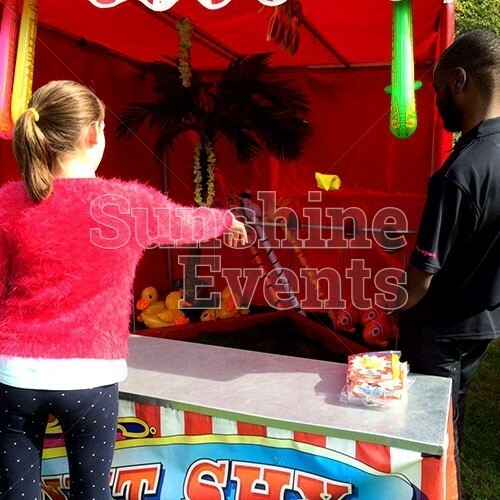 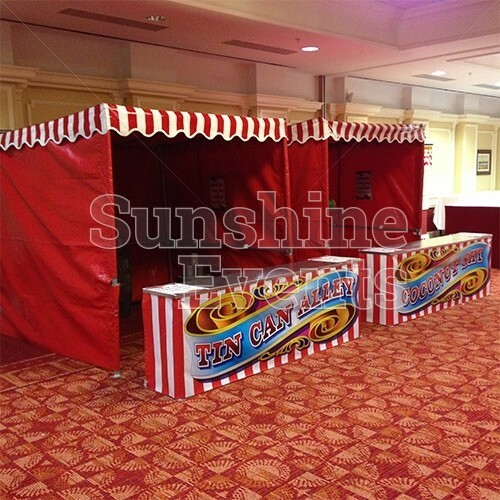 The Side Stalls offer great fun for everyone involved and the Coconut Shy Stall Hire is one of the most popular Side Stalls in the Sunshine Events line-up. 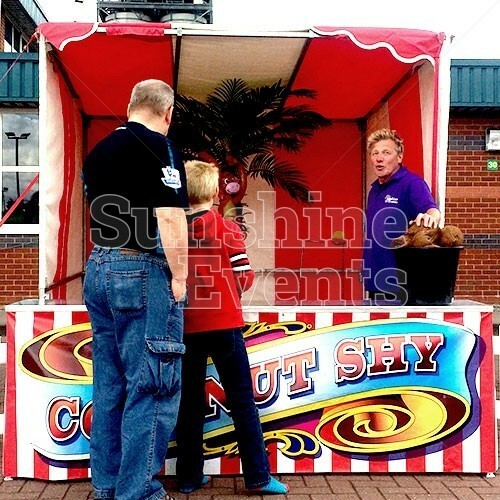 Each stall comes with 50 coconut prizes included, so if you think you’ll need more just ask our Fun Experts at the time of booking! 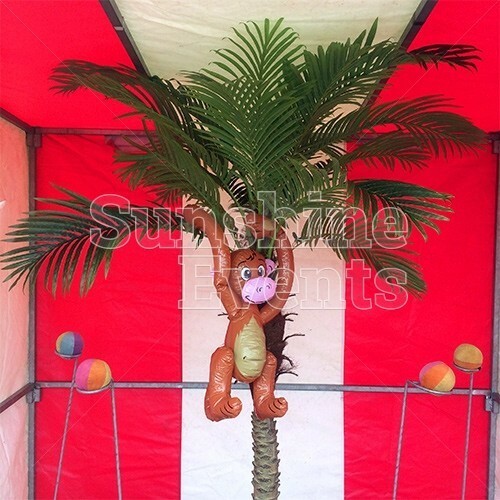 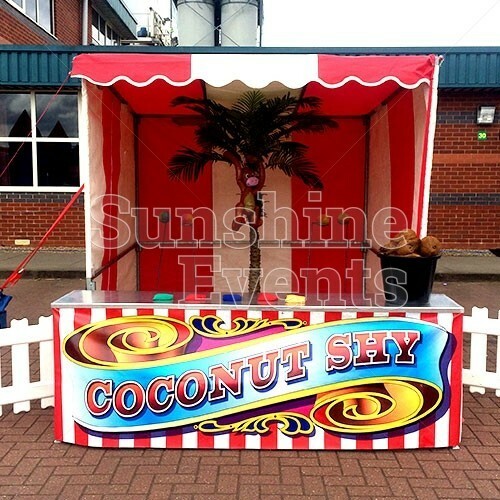 What events are the Coconut Shy Stall Hire suitable for? 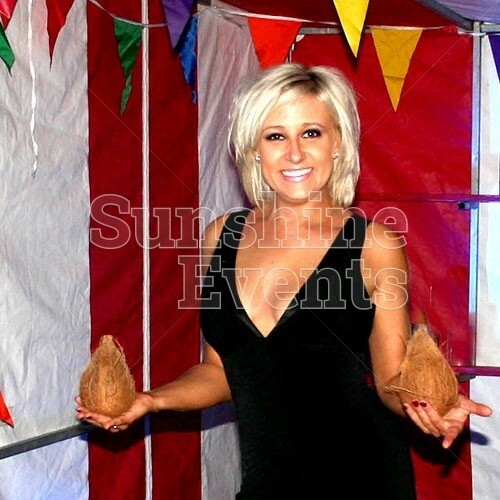 If you want to give your guests to walk away with a freshly-won coconut get in touch with the Fun Experts and we can ensure that your event is not a knock-off! 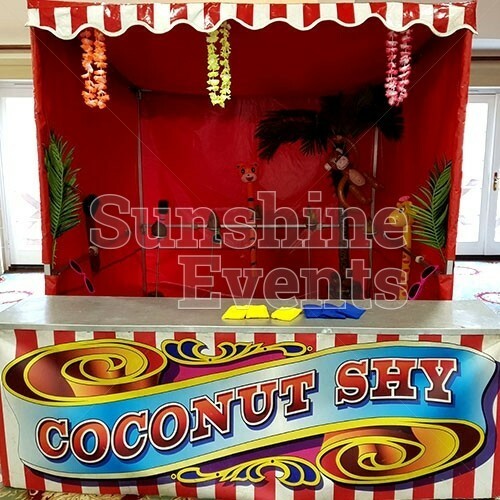 Additional Prizes - every stall comes with a complimentary 50 novelty prizes - in the case of Coconut shy, it's a lovely coconut! 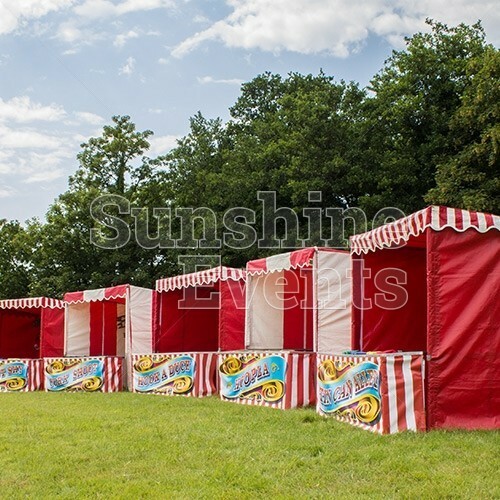 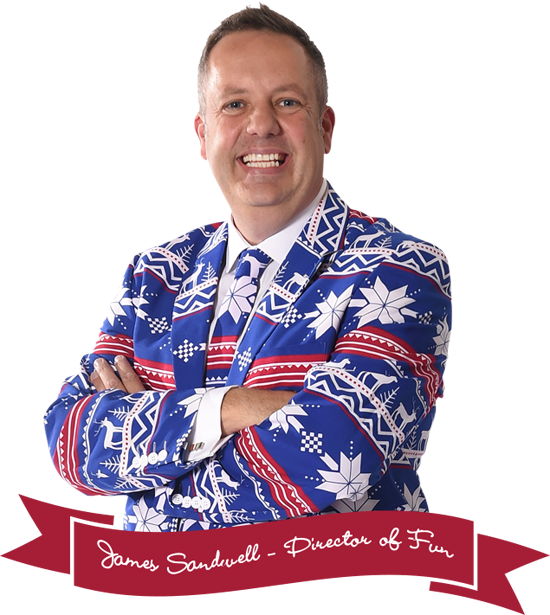 Do you know the footfall for your event; have you got an extended guest list? 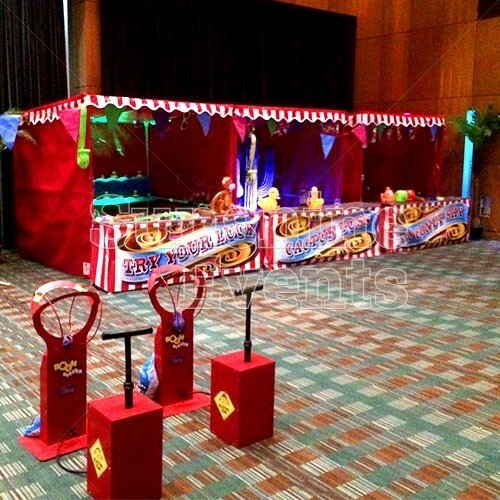 Make sure your guests walk away with a prize and enquire about our additional Prize Packages. 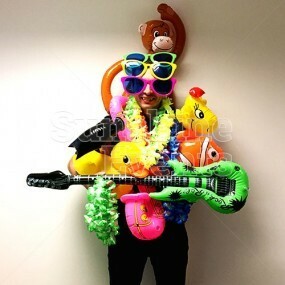 We had a very competitive few hours throwing hoops and beanbags at coconuts - including a stellar performance by our MD the new "King of the Hoopla"! 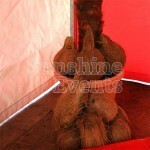 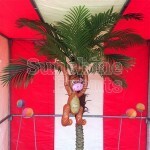 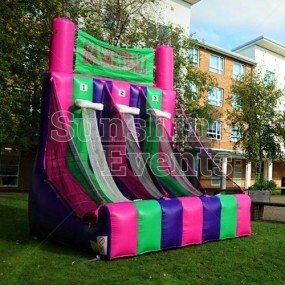 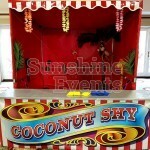 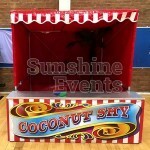 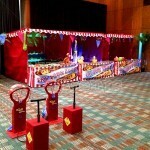 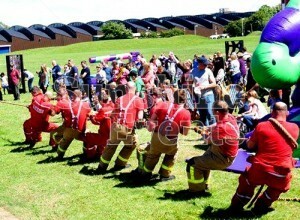 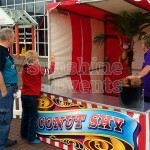 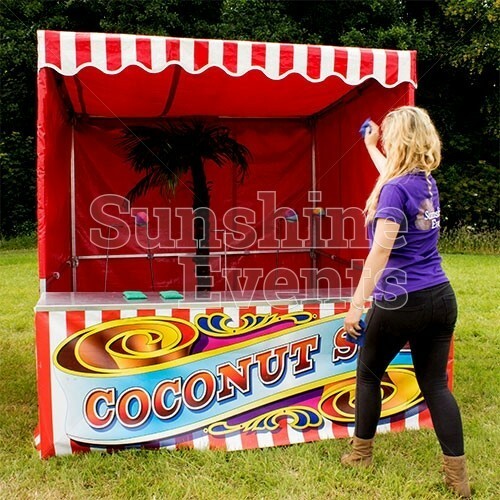 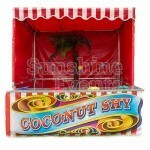 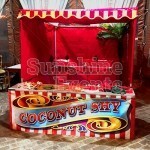 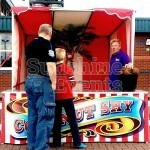 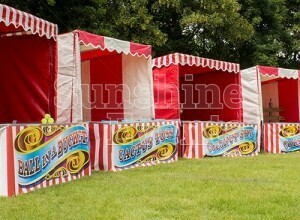 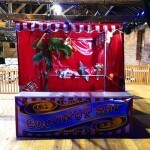 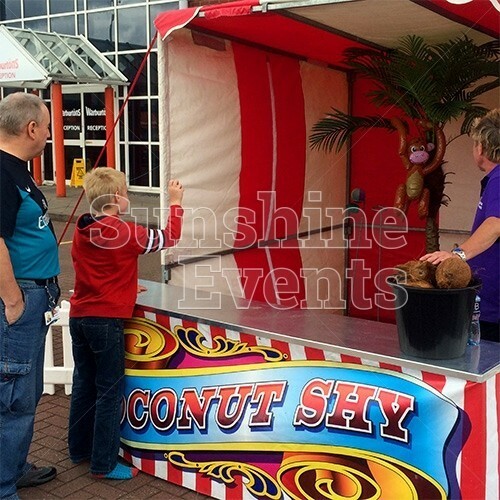 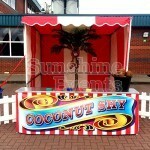 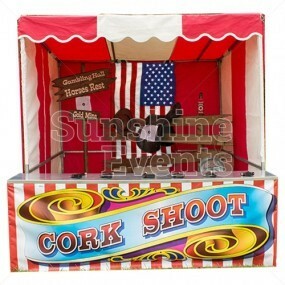 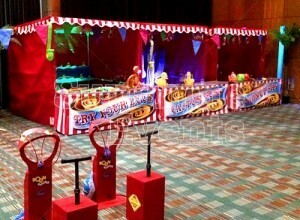 Coconut Shy Stall Hire has been added to your Event Quote.